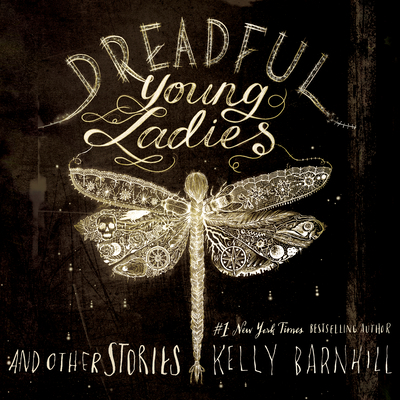 From award-winning, New York Times bestselling author Kelly Barnhill comes a stunning collection of nine stories teeming with uncanny characters whose lives unfold in worlds at once strikingly human and eerily original. When Mrs. Sorensen's husband dies, she rekindles a long-dormant love with an unsuitable mate in "Mrs. Sorensen and the Sasquatch." In "Open the Door and the Light Pours Through," a young man wrestles with grief and his sexuality in an exchange of letters with his faraway beloved. "Dreadful Young Ladies" demonstrates the strength and power-known and unknown-of the imagination. The World Fantasy Award-winning novella The Unlicensed Magician introduces the secret, magical life of an invisible girl once left for dead. By an author hailed as "a fantasist on the order of Neil Gaiman" (Minneapolis Star Tribune), the stories in Dreadful Young Ladies feature bold, reality-bending fantasy underscored by rich universal themes of love, death, jealousy, and hope.